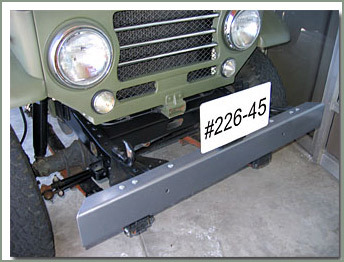 If you want to upgrade your 40 Series front bumper to a heavy duty replacement, Specter has the bumper for you. 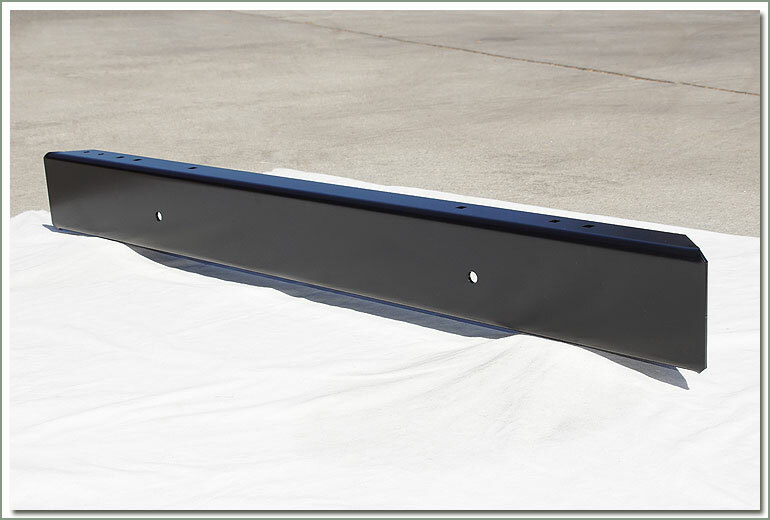 SOR's Heavy Duty Front Bumper is made of 3/16 inch channel steel that is about three times stronger than the original factory bumper. Specter's bumper is 46 inches in length, which is shorter than the original bumper. The shorter bumper allows for a increase in your vehicles approach angle. Easy to bolt on, all holes are predrilled. Painted black finish. Hardware is not included. Specter does offer a Hardware Kit that comes complete with all mounting hardware necessary, see #226-70. Fits all 40 Series. Specter is making ordering parts easier with the Front Bumper Bolt Kit. This is the hardware kit to install the front bumper. Specter now offers a new light duty 4 1/2 pound, 40 Series polished Aluminum Front Bumper. 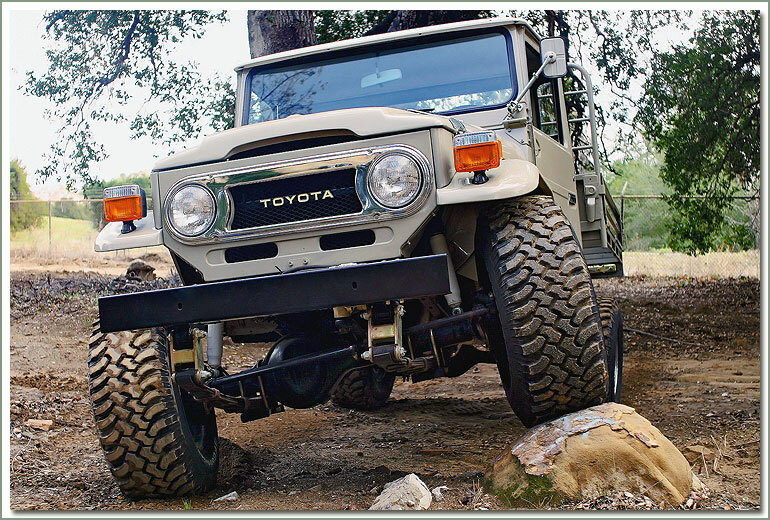 This bumper makes the perfect compliment for those of you who have aluminum diamond plated accessories. Made of 1/8 inch highly polished aluminum diamond plated material. Easy to install, all factory holes are predrilled. 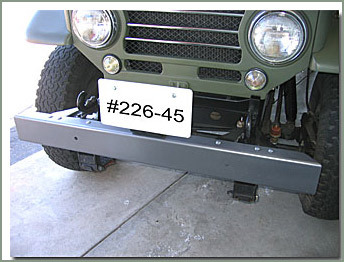 Bumper is 48 inches in length, 3 inches high, with radius on all four corners. This bumper can not be used with a tow bar. Perfect time to replace all your mounting hardware, see #226-70. 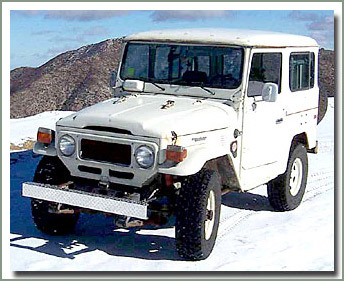 Winch Bumper is designed to mount the original Warn 8274 and the newer Warn 8274-50 winches. 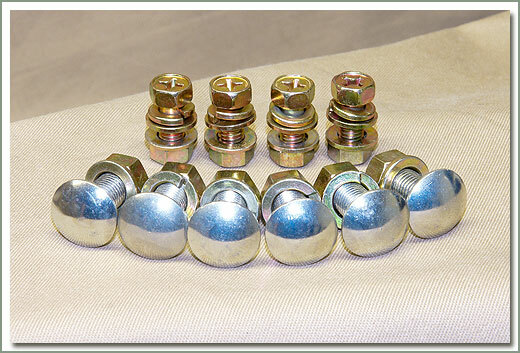 Mounting hole bolt pattern is 10 inches wide and 4 1/2 inches tall. 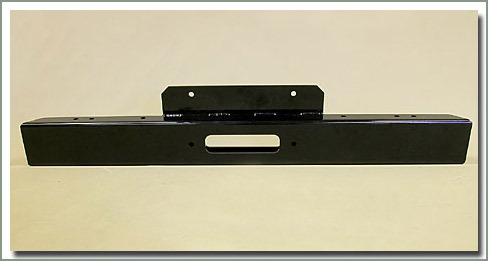 This bumper bolts to the stock bumper gussets and extensions, using the stock holes on 40 & 45 series vehicles. 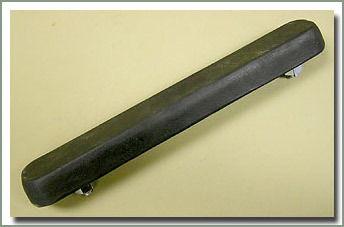 Bumper is 45 inches long over all and is made from 3/16 inch steel. Comes black powder coated. Mounting hardware not included, see #226-70 if needed. Fits all 40 series.